Flying Cookie Quest is a new launching game where you launch a little panda to eat as many cookies as possible. Read more details for Flying Cookie Quest. Are you ready to launch the rocket panda to fly thru the land of cookies? Start this launching journey by using primitive slingshot and almost not aerial skills, except the small rocket boost. After you earn enough money, you need to upgrade your skills and improve your flying or launching abilities. Have fun! Zombie Tower Defense is a special handmade mode that raise the Minecraft gameplay up to a new defensive level! 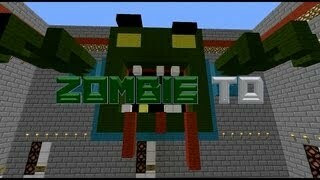 Read more details for Zombie Tower Defense in Minecraft style. Countless waves of zombie hordes are created with goal to find your shelter, ragingly demolish and last but not least to reach you and banish your mortal soul! Made in Minecraft style, this awesome Zombie Tower Defense mode contains amazing arts, ignorant zombies, deadly weapons and tons of survival fun! Crystal Lands is a new defensive game where your job is to protect the mystic crystal from all attackers. Read more details for Crystal Lands. The ancient peace of Arctic was ragingly disturbed by unexpected action for finding and destroying the icy heart! Your job is to defend these Crystal Lands and let no man, creature or thing gets nearby your beloved frozen artifact. Place towers, upgrade them as well and have lots of fun in this front viewed strategy game. Have fun the following weekend guys and girls! Tesla Defense is a new base defense game where you use the death ray to zap all incoming enemies! Read more details for Tesla Defense. Nikola Tesla wasn’t an ordinary genius for electricity and much more, he also was a huge patriot for his country especially when there were constant attacks and enemy invades! That’s why he invented the lethal death ray and organized his impenetrable Tesla Defense line! Have fun zapping your enemies! Lucky Tower 2 is a new RPG game where you took role as the old and slowrising hero known as Von Wanst. Read more details for Lucky Tower 2. The second installment of fun, awesomeness and ugly monsters has arrived! Welcome to Lucky Tower 2. Your meaning of life finally looks clear as ice. Take role of this powerful hero and start doing all kinds and types of quests and missions. Have fun!